Dundee Women's Festival starts this Saturday 1st March, running throughout March. Their schedule is full of film, music, drama and history-based activities We're very pleased to be able to say that they've included some talks and events on Mary Lily Walker! Details: This exhibition provides all sorts of insights into Mary Lily Walker’s life and legacy. 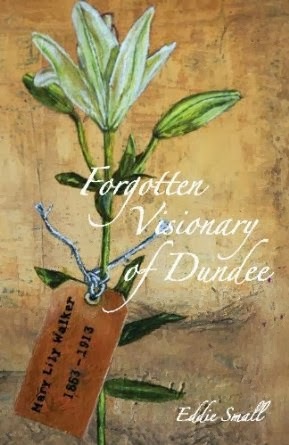 It contains a plethora of photographs and documents, all of which help us to make the connection between the Dundee of her day and our own. and joined her in her vision. This event will give us a chance to meet some of those women. the project. It will include readings from actual correspondence of the time and memories written by the women who missed her presence, long after she was gone. Details: For those who are understandably reluctant to brave Dundee streets in March, come and see Mary Lily Walker’s world from above. We will meet in the Top of the Tower Café, in the Tower Building of the University of Dundee. Researcher Pete Kinnear will guide you through her world, looking down from the expansive windows of the Cafe. You can even help yourself to a bacon roll and cuppa, in between questions! Event is free but places limited and booking is essential.